The digital workplace is no longer the future of work. It’s the new norm. 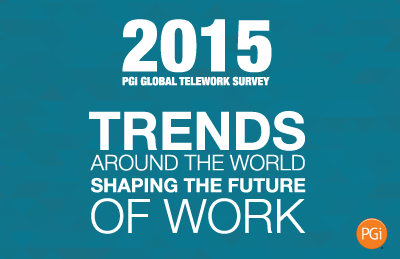 In the 2015 PGi Global Telework Survey, a whopping 79 percent of surveyed knowledge workers around the world now work outside the office—and it doesn’t stop there. About 60 percent of surveyed teleworkers worldwide would leave their existing job for a similar job, at the same pay rate, if they could work from home full time. And why, despite wanting to leave the cubicle, non-teleworkers haven't left the office—yet. Like what you see here? Share it!